Do you ever wonder if it’s too late to move past mistakes and restart your life? Here is a story from Bridgette, a reader who gives great insight on second chances and making a new start in life, and in love (published with her permission). Hi, my name is Bridgette and this is my story. You know how they say the little pregnancy stick with the two lines will change your life forever? Well for me, it definitely did. I had just graduated from high school and my relationship with my longtime boyfriend was fizzling out. He was still stuck in his “bad boy” phase, lost his car due to trouble with the law, and wasn’t able to drive to see me anymore. I started to want someone a bit more responsible. I started dating an older guy who worked in the parking garage behind the restaurant where I worked. After a few good months of having fun together, we drank a bit too much one night, and then went to his room afterwards. I specifically remember the condom breaking, and for a moment we were both worried, but we put the idea in the back of our minds. What were the chances that one broken condom could lead to anything? Flash forward a few weeks, and I notice I missed my period. The boyfriend and I meet up, I tell him the news, and we decide to go buy a pregnancy test stick together. It’s positive. He tells me right away that his parents are very conservative and are going to want us to get married. Once I spill the news to my Catholic mother, she agrees. Looking back, I realize that, at 18 years old, I was still a kid when we got married. After dating my previous boyfriend for over two years, I had jumped into a marriage situation after only three months of dating this guy. When my son was 13 months old, I had another skipped period, and it was discovered that the mini pill my doctor put me on wasn’t strong enough for my young and robust fertility. My daughter was then born 22 months after my son. My in-laws offered to help us out if we moved closer to them, from Michigan to North Carolina. My husband got the job transfer and we made the move. I loved North Carolina, and easily made some close mommy friends. While I loved my children, I felt as though I was pushed into motherhood very fast in life. I would talk to my friends back home who were enjoying the life of a typical woman in their early twenties, and I have to admit I felt jealous. I was always so quiet and studious, and felt that I missed the chance to go out and have fun. I felt myself slipping away more and more. I decided not to focus so much on the relationship, and went back to school to start focusing on myself again. After nine years of marriage I started to feel as though something wasn’t right. A whole decade had almost passed, and we were exactly in the same place where we started. I was ready to finish school and hopefully start a new career. He had recently been fired from his job, and was struggling to find new work, yet stayed home playing video games more often than he tried to find a job. While I tried hard to make things work, including counseling, I got to the point where I was done being put on the back burner in life. It was time to work toward building a better life for myself and my kids. After years of being somebody else’s wife, the desire to be on my own grew more and more. I was scared to death to live on my own, but I saved up and made it happen. At first, I felt very scared about dating someone new. Thankfully Gregg gave me the tools and advice I needed to get back out there. After so many years out of the dating pool, I realized it is important more than ever to keep a digital connection going, as well as a real-life connection. While I was worried about my kids, I can say that they are now doing better than ever. They sense my newfound happiness, which has in turn made them happier, too. I have been liberated from many things that were holding me back in the past, and I am confident things will get better and better every day. It’s an open world full of many possibilities, and I’m loving every minute of it! It’s Never too Late to Look Past Mistakes and Restart YOUR Life! Bridgette’s story is not that unique. The decision to restart your life is a scary one for sure, and not one to be taken lightly. If you feel stuck in a bad situation and feel like a restart may be necessary for you, check out some of my books. My best recommendation would be to start with Comfortable in Your Own Shoes. Chances are, if you are at this point in your life, the first thing you need to do is begin working on some positive self-talk and some goals. 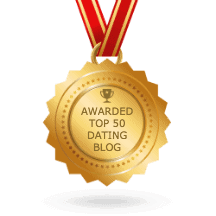 You might also be interested in another reader story by Anna – Dating Over 40: Middle Aged and Kickin’ It.